EKISTICS | News | Check out the New Wilden Village! Check out the New Wilden Village! 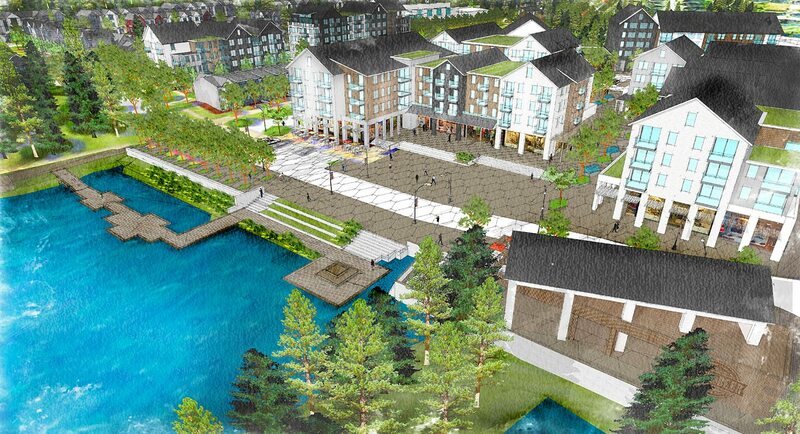 Update April 2019: The Wilden Village Rezoning Application was presented on March 26th Public Hearing – resulting in Council’s unanimous support for 3rd Reading! 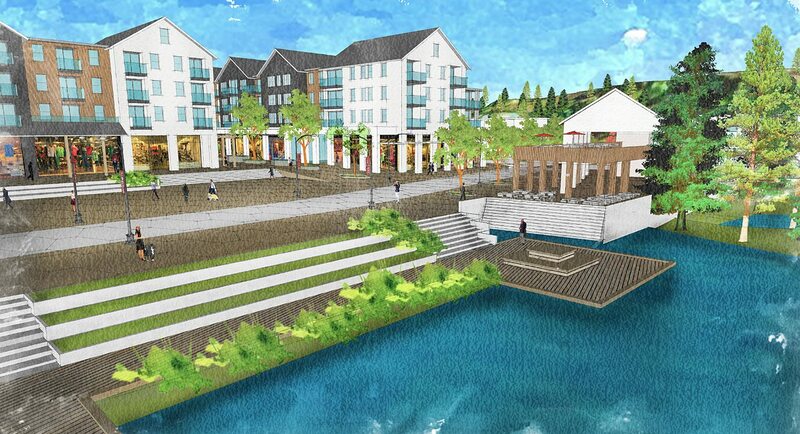 As part of the updated design, EKISTICS talented modelling team used their magic to create a conceptual 3D character model and flythrough, of the proposed new Wilden Village, in Kelowna, B.C. The update of the Wilden Village Neighbourhood represents a significant opportunity to advance a more complete and sustaining community vision. 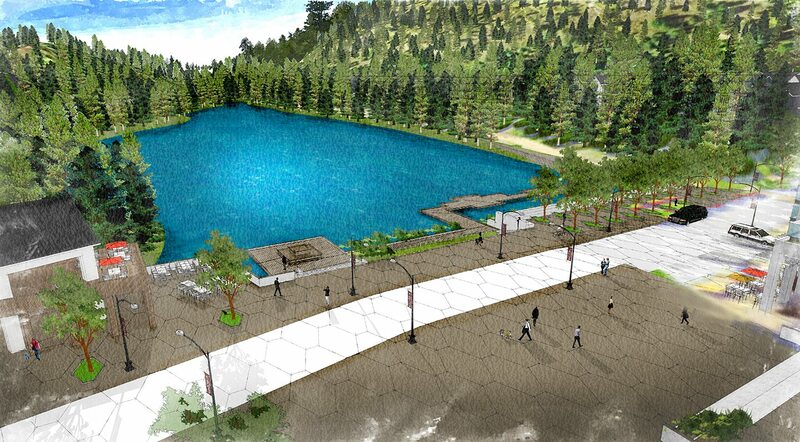 Planned as the future social and economic heart of the Glenmore Highlands, the Wilden Village Update builds on the adopted 2003 vision to better address current community needs, emerging markets trends and stated OCP sustainability goals. 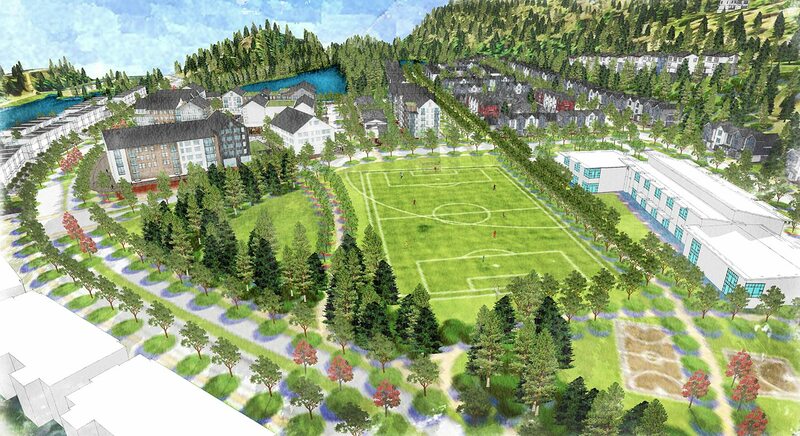 The Village Update proposes a compact, walkable neighbourhood that conserves areas of natural habitat through a network of integrated parks and wildlife corridors. Neighbourhood uses are clustered on lands most suited for development, offering a range of residential forms and densities not currently provided in Wilden. Responding to the site’s complex topography, the Plan proposes a series of pedestrian-scaled residential districts, structured by a joint Elementary School and Commons and waterfront mixed-use Village Centre, able to deliver an increase in commercial amenities, civic services, and residential density all within a reduced development footprint. The Wilden Village Neighbourhood update realizes an urban village nestled within the Highlands’ spectacular natural landscape. On February 15th, the Wilden team is opening a dialogue with residents about the Wilden Village and Market Square. When complete, Market Square will give residents convenient access to amenities and foster a walkable lifestyle. 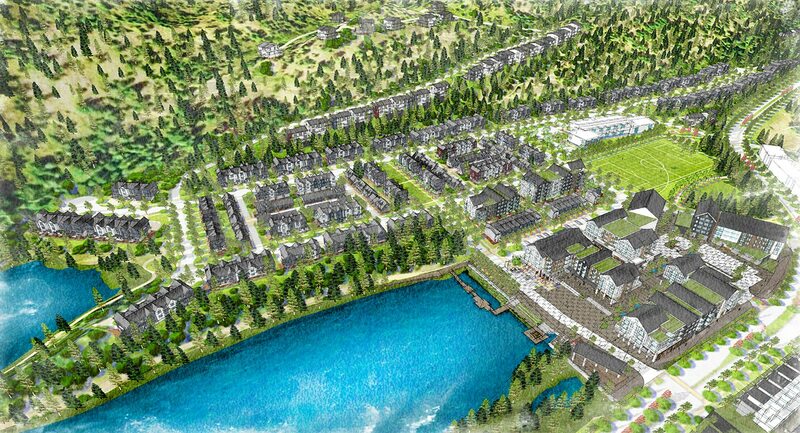 The surrounding Village will offer an array of housing options. 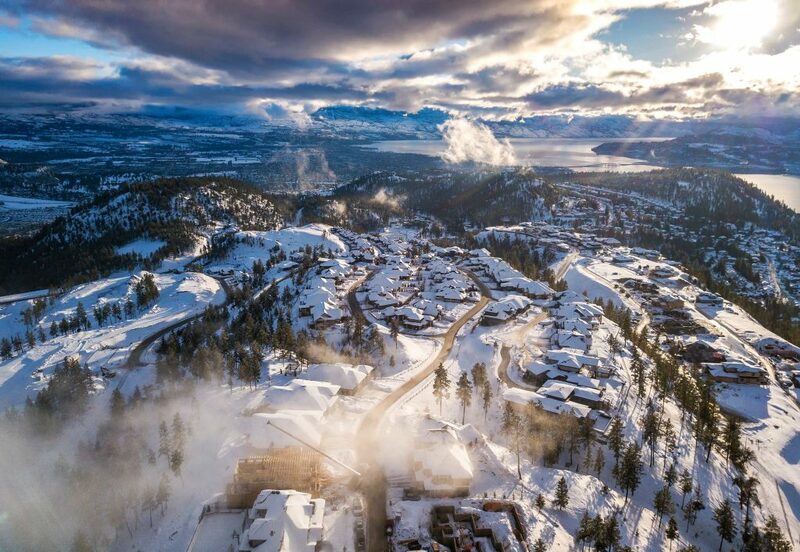 Photo Credit: Village snow aerial image, courtesy of Wilden.